General objective of this article paper is to discuss on Cosmetic Surgery of Nose. This a health benefit related article. Nose asymmetries are familiar disease and they are a great source of concern for many people. 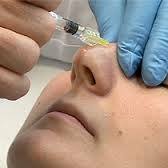 This article discuss on the procedure of Cosmetic Surgery of Nose. Pros of the procedure and Cons of the procedure.